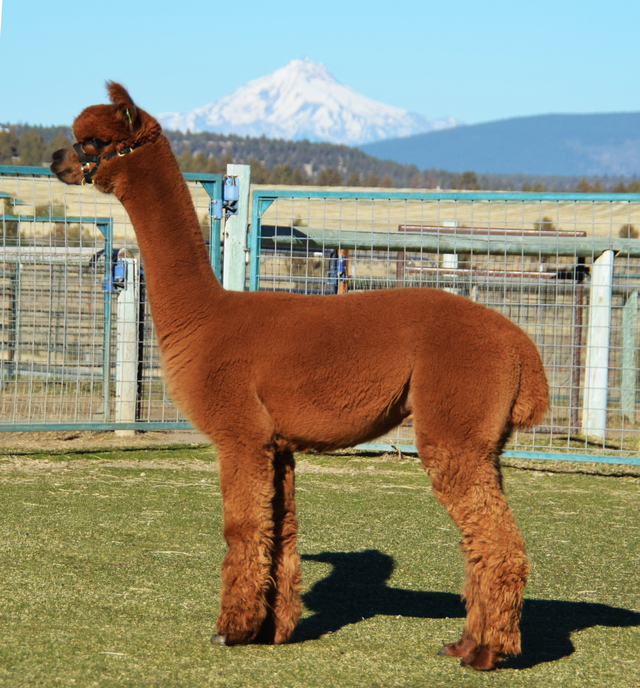 In 2015, Acapella gave us a wonderful light brown male sired by Patagonia's Ernesto. 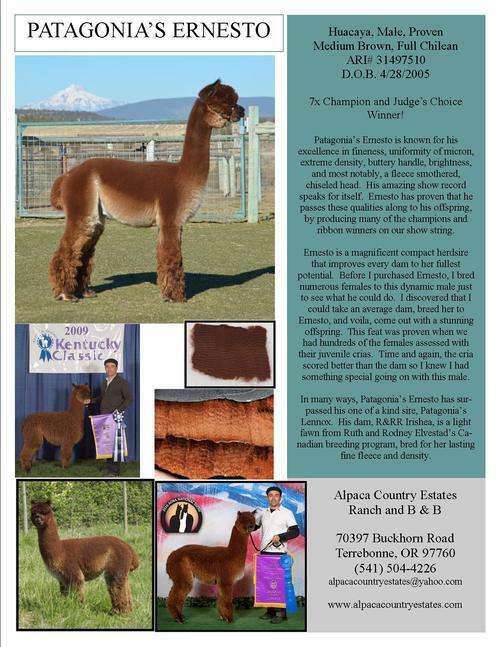 PATAGONIA ESTATES AZTEC was on our 2016 show string and received multiple ribbons, including taking home a Blue Ribbbon for his 1st Place showing at the California Classic 2016. Aztec is a gorgeous color. He is dense, has a tremendous handle, and a perfect bite. Shown as a juvenile in 2016, Aztec ribboned in four spring shows from CABO, AOA Nationals, CABA Classic, and ABI, to First Place at the California Classic. 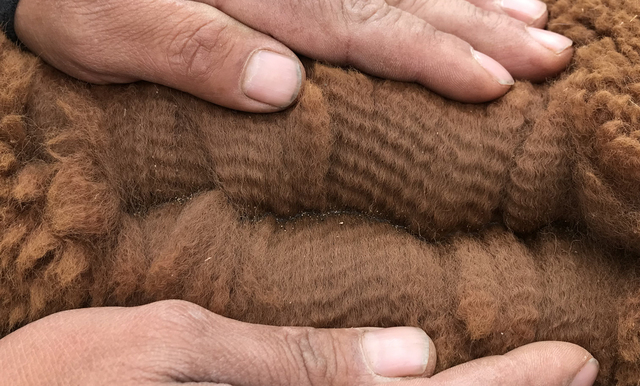 Aztec's fleece has a wonderful handle. 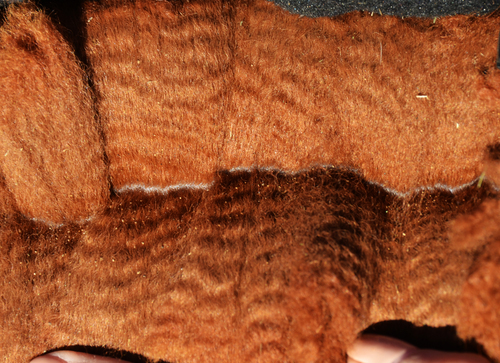 It is very dense, yet possesses a soft, fine, fleece that is uniform in color as well as in micron. His conformation and bite are phenomenal. 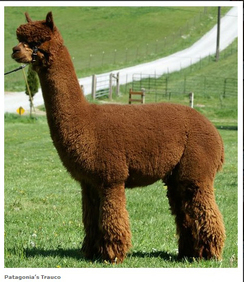 You will want to check out this amazing Jr. Herdsire. 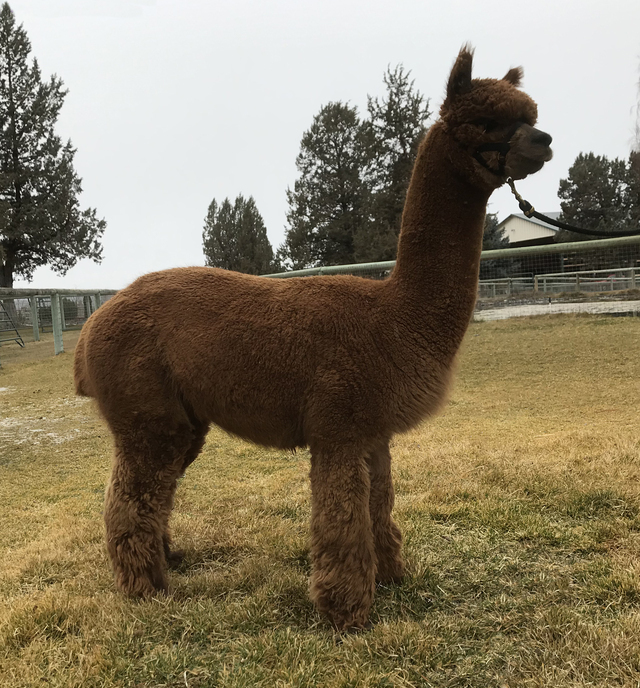 This proud male's genetics includes sire, Patagonia's Ernesto, recipient of a Judge's Choice at 2010 GWAS, 8x Championships, numerous first place ribbons, and First Place Get of Sire (competing against offspring of lights and white while his offspring were black and brown). Ernesto was appraised at the age of seven, by a senior judge, as having the attributes of an A - animal. His offspring have made Patagonia's Ernesto proud as Banner Winners with several Color Championships. 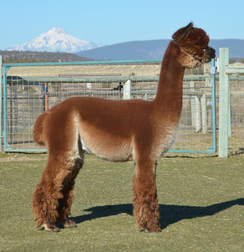 Aztec's grandsire is the famous herdsire, Patagonia's Lennox. Four of his sons are standing at stud at our ranch alone. Lennox is a 7x Champion with at least 13 Blue Ribbons, including Huacaya Get of Sire. At a handsome fourteen years old, he has maintained his fineness as well as long staple length. Aztec's dam, Patagonia's Acapella, was also assessed in 2015 as an outstanding A- quality female. 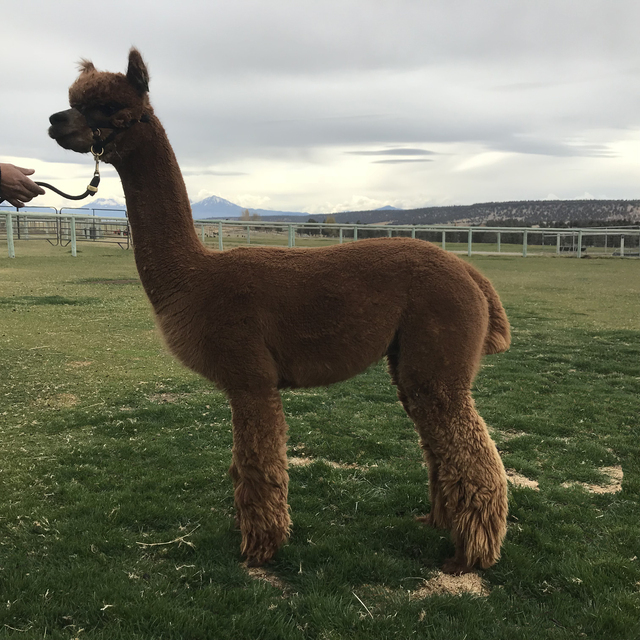 Acapella earned ribbons in both fleece and halter competition over a decade ago thus maintaining fineness and density at her current age.